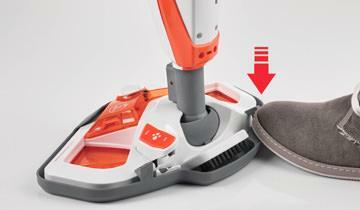 The Vaporetto SV420_Frescovapor steam mop kills and removes 99.9% of germs and bacteria. 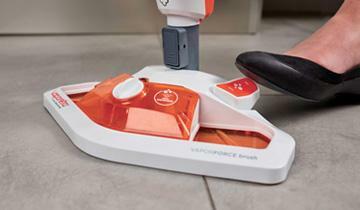 In one go the house is steam cleaned and freshened thanks to the Frescovapor dispenser built-in to the Vaporforce brush. 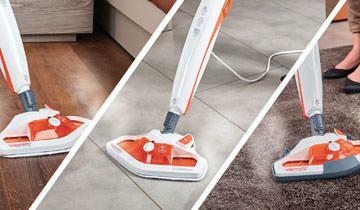 With Vaporetto SV420_Frescovapor you can steam clean and eliminate bad odours in one go. Thanks to the dispenser, integrated in the brush, the steam is mixed with the Frescovapor deodorant and the result is a clean and fragrant home. 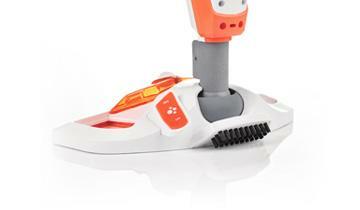 The new brush has a large area for dispensing steam which, combined with the excellent flexibility, lets you reach the most difficult corners ensuring more effective cleaning. 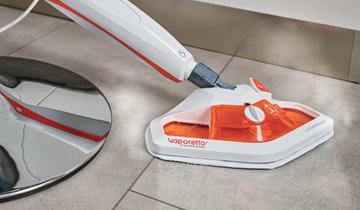 *The Vaporetto steam mop eliminates 99,9% of most common germs and bacteria such as Escherichia coli, Staphylococcus aureus, Pseudomonas aeruginosa, Aspergillus brasiliensis, Salmonella enterica, so long as the surfaces have previously been well vacuumed and the steam mop is used following the instructions of the user manual correctly. When being small is an advantage! The Vaporetto SV420_Frescovapor steam mop is lightweight and compact and lets you clean practically and easily: single-handed. The Vaporetto SV420_Frescovapor mop is designed to treat all types of flooring: with hard or soft finishes, linoleum, rugs or fitted carpets. Also, thanks to the steam regulation, performance can be optimised for each surface. 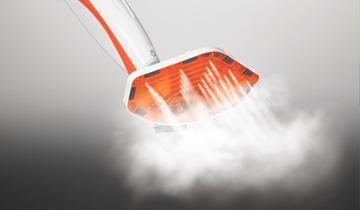 Thanks to the bristles integrated in the brush can effectively remove encrusted dirt by combining the power of steam with the abrasiveness of the bristles. Putting on and taking off the cloth is hands-free: to put it on just place the brush above it and press lightly while to remove the cloth after use just place your foot on the tab to keep it on the ground and lift the brush. The removable tank is a useful ally for adding water without leaving annoying marks on the floor. Just put it under the tap to fill it at any time. The filter built into the appliance reduces the passage of mineral salts and the formation of limescale, allowing the use of ordinary tap water; Always refer to the instruction manual to check compatibility with the water hardness in your area. 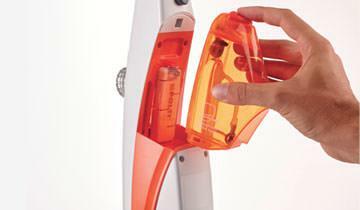 The limescale filter can be replaced easily, ensures better cleaning results and lengthens the life of the appliance. 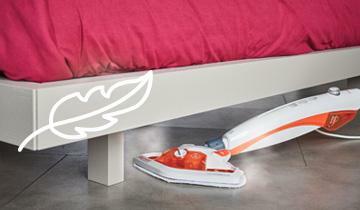 2 practical, high absorption microfibre cloths can be attached easily and lets collect the dirt melted by the steam. 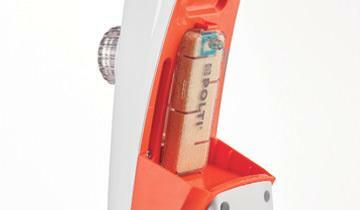 Easy to apply and remove for maximum ease of use, the frame is needed for moving the steam mop over fitted carpets and rugs too.